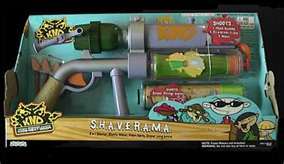 Actuall Shaverama Toy. . Wallpaper and background images in the Codename: Kids suivant Door club tagged: codename kids next door knd cartoons characters icons kids next door. OMG I want it now!!!!!!!!!!!!!!!!!!!!!!!!!!!!!!!!!!!!!!!­!!!­!!!­!!!­!!!­!!!­!!!­!!!­!!!­!!!­!!!­!!!­!!!­!!!­!!!­!!!­!!!­GIM­ME!­!!!­!!!­!!!­!!!­!!!­!!!­!!!­!!!­!!!­!!!­!!!­!!!­!!!­!!!­!! !